Are You Ready To Be A Translation Wizard? Are You Ready to Read and Write in Foreign Languages With A Mouse Click? Then you're ready for IdiomaX Translation Assistant 7.0. Once you have downloaded and begun using this comprehensive Translator software, your colleagues, boss, family and friends will marvel at your newfound confidence and language proficiency. You'll discover that it actually can be fun and not a chore to learn new languages like Italian, Spanish, French and German... and to have instant translation of words, phrases, sentences and whole documents right at your fingertips. Imagine how it will change your work life, your communications with friends far away, and your ability to meet new people! Provide a quick translation of selected text in language of your choice. Work with all Windows applications. Offer ability to search alternate meanings of words and phrases. The revolutionary IdiomaX Mobile Translator. It downloads easily onto your SmartPhone or Pocket PC and goes wherever you do. Stuck for a word or phrase when you're stuck in traffic? Need to translate an email at the lake or a document on a business trip? Mobile Translator is as close and convenient as your cell phone. Special Price Offer: You get 10% off the Mobile Translator when purchased with the IdiomaX Translation Assistant. Check here now to include "IdiomaX Mobile Translator" with your order IdiomaX Translator and claim your HUGE 10% discount available to Translator customers ONLY! Purchase the product and a serial number for using the product without any limitation will be sent to you via e-mail. Your personal information will be kept private. 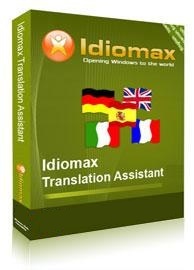 With our 30 day satisfaction guarantee, you can be completely confident in purchasing translation software from IdiomaX. If it fails to thrill you, your money is returned. Simple as that, no questions asked. Our transactions are totally safe. You can select the payment method you prefer between Credit Card, PayPal and Phone or Fax Orders.